I visited Andy's Pizza six years ago almost to the day and enjoyed my visit, but six years is a long time and a lot can change in that time. Andy's had reached out a few times over the years to invite me back, because a lot has changed in that time and from where I was sitting, many of the changes involved going all the way back in time to the beginning! So much so that the slogan you find on their t-shirts is "Take a Step Back in Time." On my side, I have reviewed so many pizzas in 6 years, my taste buds are sharper, my pizza knowledge is greater (I hope! 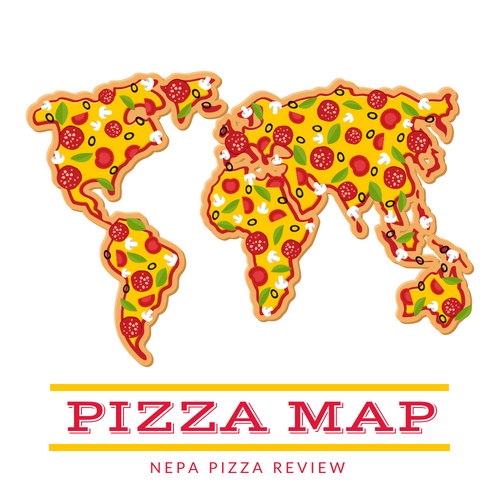 ), I'm more open minded toward types of pizzas which aren't necessarily my favorite style, and as a result I think my opinions are a bit more refined and geared toward a broader audience. So with Andy's going back to the future, and with me with several hundred more pizzas under my belt, I thought the time was right to accept Andy's challenge and make my return visit. I arrived to see some aesthetic upgrades both inside and out. There was new signage, fresh coats of paint, upgraded lighting, and new local and historical memorabilia adorning the walls. As I later found out through my conversations with the owner Joan who was very generous with her time, the upgrades were all designed to continue to restore the original look and feel of the place rather than to modernize like many restaurants do. I was really impressed with the subtle, yet authentic upgrades and touches throughout, especially in the dining room. When sitting at the yellow tabletop booth atop the checkerboard flooring, and surrounded by black and white photographs and newspaper clippings from many decades ago, it was easy to imagine a different time, way back when things were simpler, slower, and we had time to appreciate the little things in life. While I waited for my pizza, I slipped into that trance for a few seconds until I watched the people excitedly pour into the dining room. I had come in just as the door was getting unlocked to open, and within just a few minutes the dining room was already half full. It was just amazing to me to see people essentially lined up to get their pizza. Now, I'm not a nosy person at all - unless it comes to pizza. I couldn't help but overhear the number of people ordering sausage as a topping. Usually pepperoni is the king of popular toppings but my very unscientific and very small sample size resulted in nearly 50% of the pizzas ordered were with sausage! I've also noted that on facebook and instagram many people post Andy's pizza photos and they have sausage on them so it must be a perfect pairing for this particular pizza! Another thing I noticed while I was in the dining room was that everyone working seemed to know every single guest that walked through the door, in fact I audibly heard the waitress ask "the usual?" and nothing else needed to be said! The drinks were out and the pizza came shortly after. Now that's service! 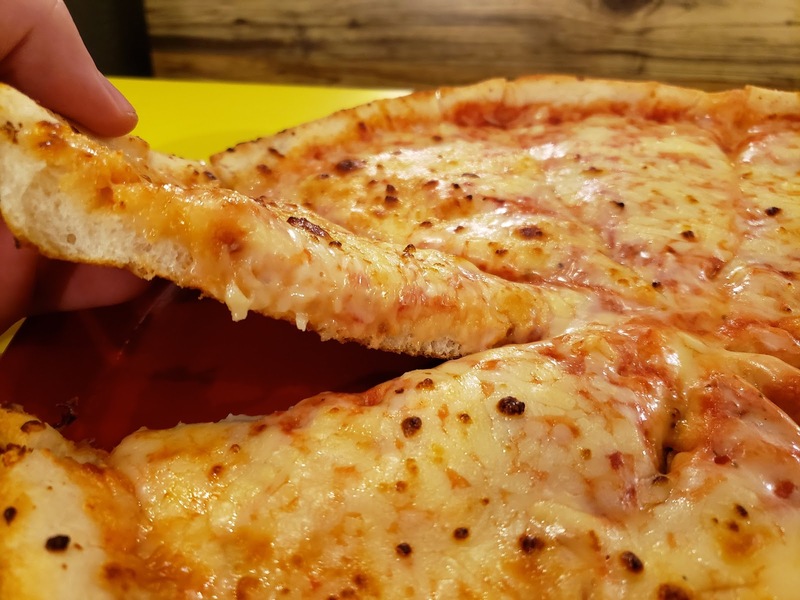 So from all of the tens of thousands of people that I've spoken to over the years, there are probably 10-20 "Legendary" pizza places who are broadly popular, and a person who lives within 10-15 miles of the place might give a little toe to have just one more pizza. These places are usually historical, offer a unique product, and have a way of treating customers that keep them coming back. I could name who I believe is on this list, but it would lead to a discussion larger than this review. For simplicity's sake, I'll make my point and say that Andy's history, unique product, favorable reputation, and customer service put them in the "Legendary" category of NEPA. You can have your opinions on various styles of pizzerias, but you cannot deny a restaurant's status among those who love it. After chatting with Joan and learning a little more about the history of the business and some really cool stories about a few of the pieces of memorabilia on the walls, my cheese pizza was sitting before me in no time. Joan left me to do my thing and give this pizza a thorough review. 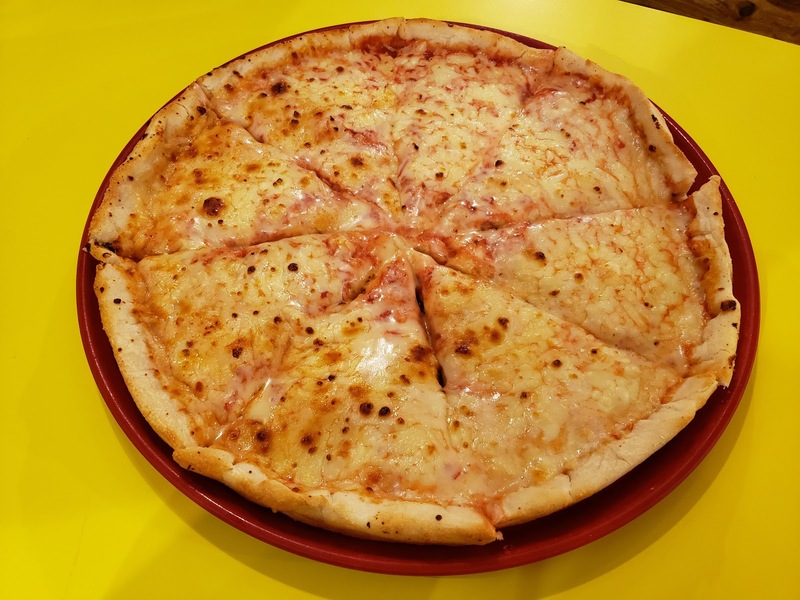 It looked fantastic with its high rise crust perfectly browned and serving as a sturdy barrier to hold in the generous amount of cheese on top. The cheese was gooey except for a few small select spots which had some slight charring. I'm not one for burned cheese, but the little hints of charring really added to the flavor profile. 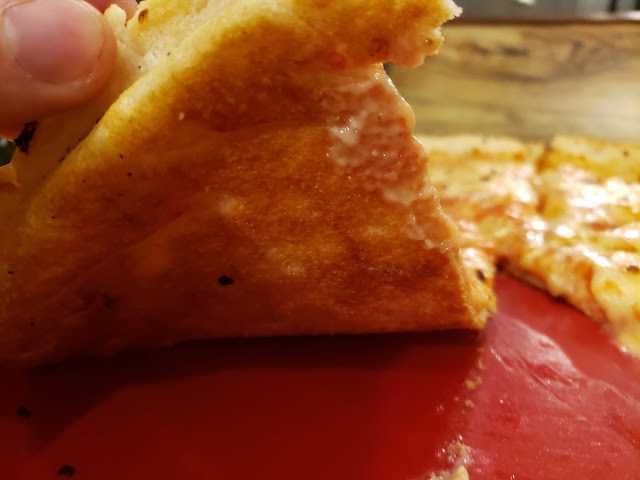 I couldn't help but notice that the sauce was a little more distinct than my previous review and I really appreciated that because it provided a better balance to the pizza making it more of a "grilled cheese with tomato" rather than a "grilled cheese" only type of pizza, if you know what I'm saying. Comparing the pizza to grilled cheese really undersells it because the crust is truly a marvel to behold. In in the center, the dough was soft and bread-like, but it's crisp on the bottom. The crust was risen nicely and cooked all the way through. It had a neutral, but pleasant flavor that played nicely with the saltiness of the cheese blend and the savory sauce. Overall, I definitely enjoyed this pizza and appreciated even more than my last visit. 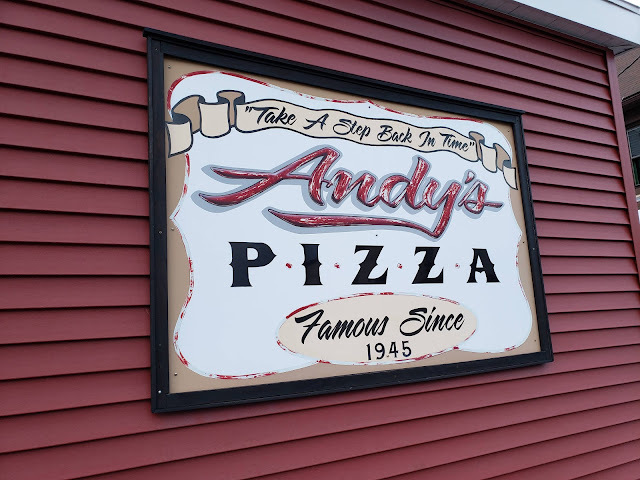 To be able to sit with Joan and her daughter Sam and really learn about the "Take a Step Back in Time" message and just a slice of the magical history of Andy's truly added to the experience and I'd like to thank them both for a wonderful experience. I was treated extremely well, but after seeing how they treat all of their customers, I know I didn't receive any special treatment - that's just how they treat everybody! 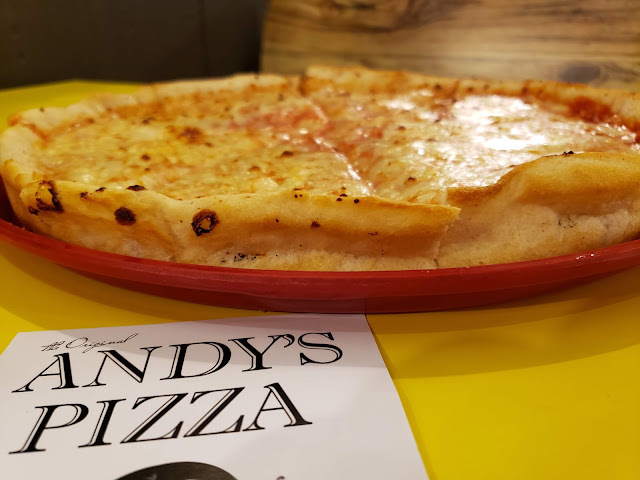 If you haven't been to Andy's it's truly a place you have to experience because it takes you back and time and you can feast on some darn good pizza while you're there! Do you have an Andy's experience you'd like to share? Please leave it in the comments! I'd love to read about them!